The Senate failed to reach a deal to fund the government, officially shutting down the government for the first time since 2013. Federal agencies have been preparing for the possibility of a shutdown, putting together lists of their essential services and the employees needed to perform those services. How would a government shutdown affect the U.S. economy? "We're ready if that's what happens. We hope not," said Secretary of State Rex Tillerson. Essential workers would remain on duty, but hundreds of thousands of federal workers would be idled, and some other services that are deemed non-essential would stop. Will Social Security payments stop during a shutdown? No. Social Security, Medicare, unemployment payments would continue. Would food aid programs be affected? Federal school breakfast and lunch programs would continue, and Supplemental Nutrition Assistance (SNAP) would also continue to be funded. But the Women, Infants and Children (WIC) program might be affected. Can I still get a passport? Maybe. But it's probably best to hurry up with that application. The State Department says that processing will continue as long as there are sufficient fees to support operations, Kylie Atwood reports. But if a passport agency in a government building has been closed because of a shutdown, that facility may also be closed. How will the military be affected by a shutdown? The 1.3 million uniformed military personnel would still be on duty. National security operations would continue. The military would continue to operate normally, at least in the near term, in the event of a partial government shutdown. All military members would be required to report for work as usual. Paychecks would be delayed only if the shutdown lasted beyond Feb. 1, because pay is issued only twice a month, on the first and the 15th. Military retirees will still receive their benefit checks, VA disability pay and GI Bill payments during a shutdown. However, the families of service members killed in action during the shutdown will not receive their $100,000 death gratuity while the shutdown is in effect, and would not be flown on government plains to a military funeral or dignified transfer of remains, according to Military.com. Data collected by government agencies to measure U.S. economic activity would stop -- statistics on unemployment and job growth, on the housing market and on inflation, for example, would not be released on their regular schedules. Reports on new home sales and on GDP were to be released next week. What about the Justice Department? It's complicated, but a significant percentage of DOJ employees continue working in the event of a shutdown. According to its contingency plan, the Justice Department, with nearly 115,000 employees, has a "high percentage" of employees who would be able to keep working because they have national security, law enforcement and criminal justice system responsibilities relating to safety or protection of property. Those employees are excepted from the shutdown. Other DOJ employees may be excepted because their work has been funded for multi-year appropriations. What does the shutdown have to do with the flu? The Centers for Disease Control (CDC) says that under a shutdown, its capacity to track and respond to disease outbreaks would be affected. For instance, flu surveillance data being reported by states and hospitals would still be collected. But limited staff resources would mean reviewing, analyzing and reporting out the information necessary for public health action would take longer. Will the NTSB (National Transportation Safety Board) keep working? About 95 percent of the agency's personnel would receive furlough notices in a government shutdown. A small number of employees would be allowed to continue for emergency essential activity and very specific investigative work. Under a shutdown, the NTSB would be able to launch investigations into major accidents involving significant casualties and other accidents if failing to go forward with an investigation would create a significant risk to transportation safety. The NTSB would also be able to continue any ongoing investigation activities and produce reports that are considered absolutely necessary to prevent the imminent potential for loss of life and significant property damage if the NTSB doesn't act. But other ongoing investigations would be halted, which would delay the NTSB in finishing reports and issuing recommendations that are considered not to be urgent. A prolonged shutdown could have an adverse impact on NTSB investigations, which was the case during the 2013 shutdown. But FAA and TSA will still be on the job? Air traffic controllers and most aviation inspectors would keep working. The more than 43,000 front-line TSA officers at airport screening checkpoints would continue working, so from an operational standpoint the airports won't be impacted, but those employees would be working without pay until the government is funded. At that point, they'd get backpay. but a lengthy shutdown would cause hardship for some employees. 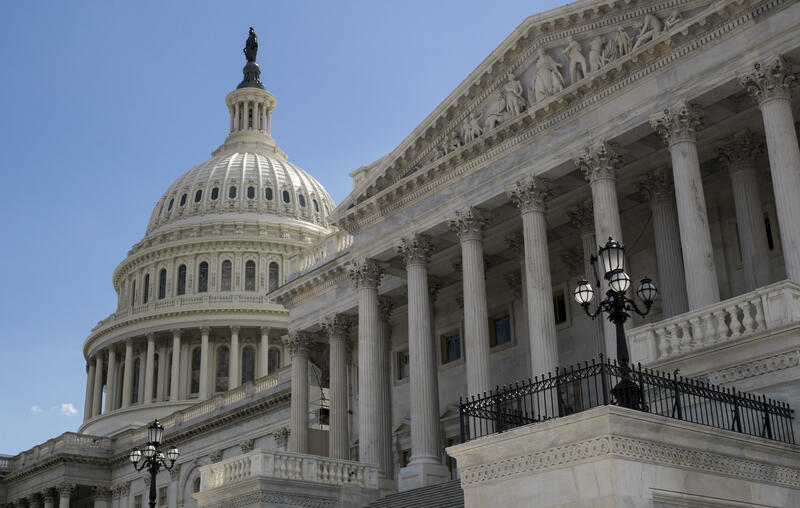 Agency staff was told to submit its list of essential employees to the chief of staff by the end of Thursday so determinations can be made Friday who gets furloughed and who doesn't. Yes, because the Post Office is self-funded, post office workers will keep delivering mail throughout the shutdown. The Smithsonian museums and its National Zoo will remain open for the weekend, but they would be closed beginning Monday, Jan. 22, the Smithsonian Institution says. The Smithsonian also has two museums in New York City that would be closed – the Cooper Hewitt Design Museum and Heye Center, a branch of the National Museum of the American Indian. The popular National Zoo live-animal cameras, including the panda cam, would also cease broadcasting. But all the animals will continue to be fed and cared for at the National Zoo. This is the same procedure followed during the 2013 government shutdown. What about national parks -- will they be open? Unlike past shutdowns, the Interior Department plans to keep national parks and other public lands "as accessible as possible while still following all applicable laws and procedures," according to a spokesperson. In Washington, D.C., war memorials and open air parks will remain open. Many national parks, refuges and other public lands "will still try to allow limited access wherever possible," according to the Interior Department. However, park services requiring staffing, like maintaining campgrounds, full-service restrooms and concessions, will not be operational. Will federal workers still be paid? Whether they work through a partial shutdown or not, federal workers can't get paid during a lapse in funding. In the past, however, they have been repaid retroactively, even if they were ordered to stay home. Can federal workers volunteer to keep working? Nope, not according to the Office of Personnel Management, which says that unless workers are authorized by law, they can't volunteer their services during a shutdown. CBS News' Kris Van Kleave, Rebecca Shabad, Steven Portnoy, Paula Reid, Emily Tillett, Kylie Atwood, John Nolen, and Nancy Cordes contributed to this report.